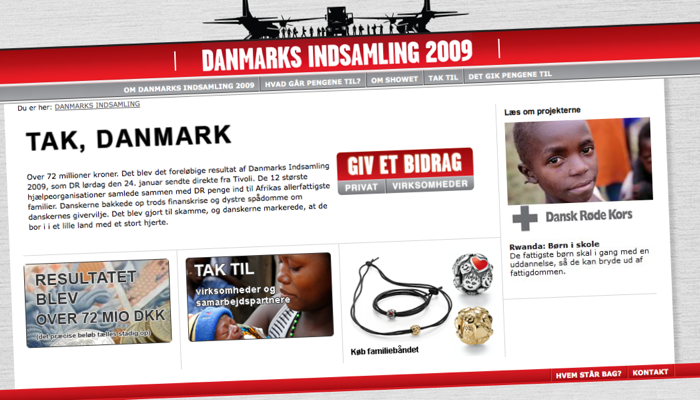 Danmarks Indsamling is a coalition of the major Danish charity organizations. Their main purpose is to host a live TV fund raiser every year for the charities within Danmarks Indsamling. The project was to create a website where people could make donations to the cause and find relevant information about Danmarks Indsamling. 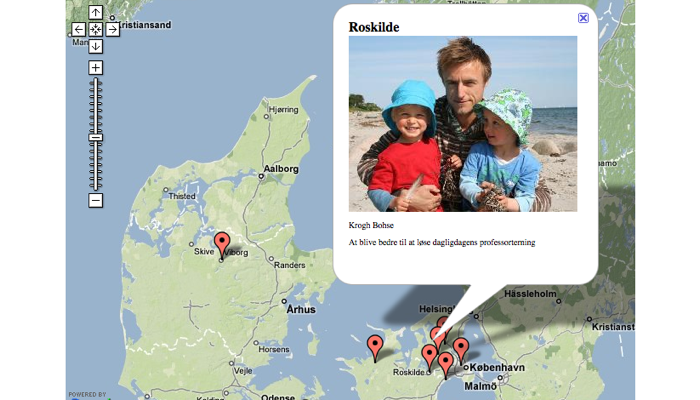 It was also possible to upload a family postcard and get it shown on a map on the website by donating DKK 50.